MainAll NewsRadioMourning the Holy Temple: Crocodile Tears, or Tears of Resolve? 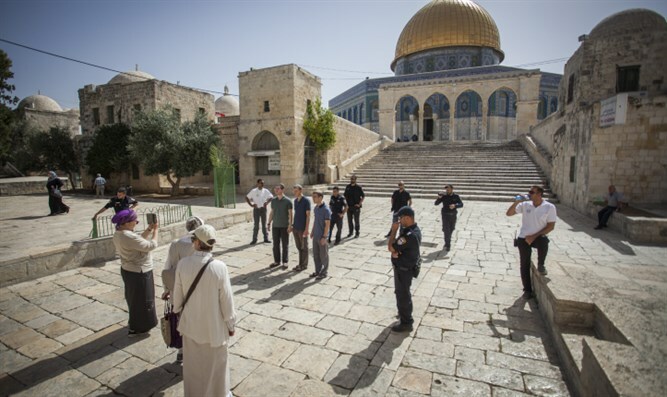 Mourning the Holy Temple: Crocodile Tears, or Tears of Resolve? The Fast of Tammuz and the Three Weeks: How Do We End the Cycle of Mourning, and Rebuild the Holy Temple? Join Yitzchak Reuven and Rabbi Chaim Richman for this week's edition of Temple Talk, recorded in Jerusalem on the Fast Day of Tammuz 17. Five tragedies befell the Jewish people on this day, which officially begins a national three-week period of annual mourning for the Holy Temple. Our hosts examine the nature of this cycle and ask some hard-hitting questions about what the goals of this time really are and how we can break the cycle of anguish and turn this into a time of joy, with the ultimate rebuilding of the Holy Temple.